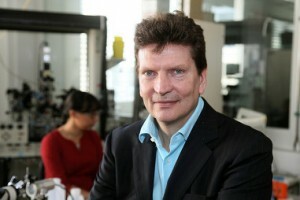 Henry Markram, Director of the Blue Brain Project at EPFL has been listed by HPCwire in the list “People to Watch 2013“. HPCwire’s annual People to Watch list pays tribute to an exemplary group of the best and brightest minds of HPC who’s hard work, dedication and contributions will possibly reach beyond the spectrum of high performance computing and will influence the direction that technology will lead us in 2013 and beyond. The Humand Brain project Human Brain Project (HBP) led Henry Markram at EPF Lausanne has shortly been awarded a total of EUR one billion to support research over a 10-year period. Part of the project will be dedicated to the development of a supercomputer that will be used for the simulation of the brain model.